As subconsultant to a multidisciplinary engineering firm, CRJA-IBI Group provided landscape architectural design services to improve the infrastructure of Capitol Boulevard and historic Church Street in downtown Nashville, TN. The project sought to revitalize historic streets and support local efforts to create a new downtown identity. Linking the State Capitol Building with the new Public Library, Capitol Boulevard is an important and well-used pedestrian route. CRJA-IBI Group’s design for eliminating curbs to provide a constant plane across the 80-foot right-of-way would allow events such as markets, festivals and other public celebrations to bring life to the downtown. The design also provides wide sidewalks, with sufficient room to set up outdoor cafes and other daily activities to encourage more pedestrian traffic. 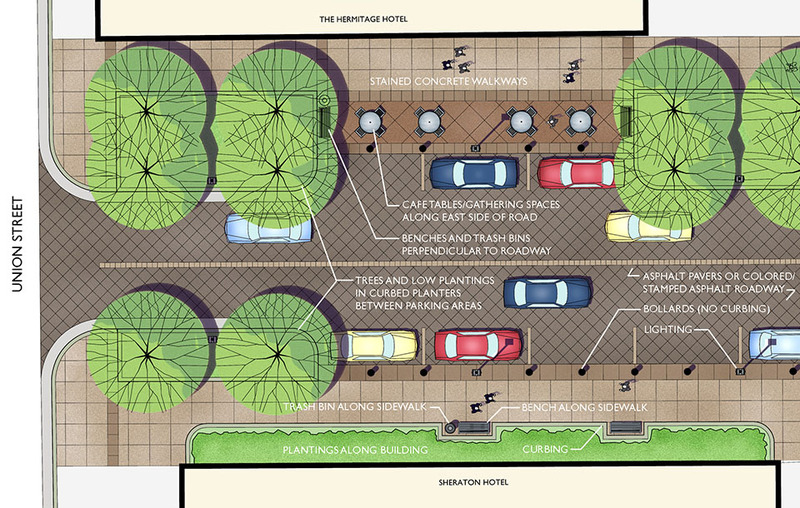 Large curbed planters and bollards help define vehicular travel lanes and parking zones. 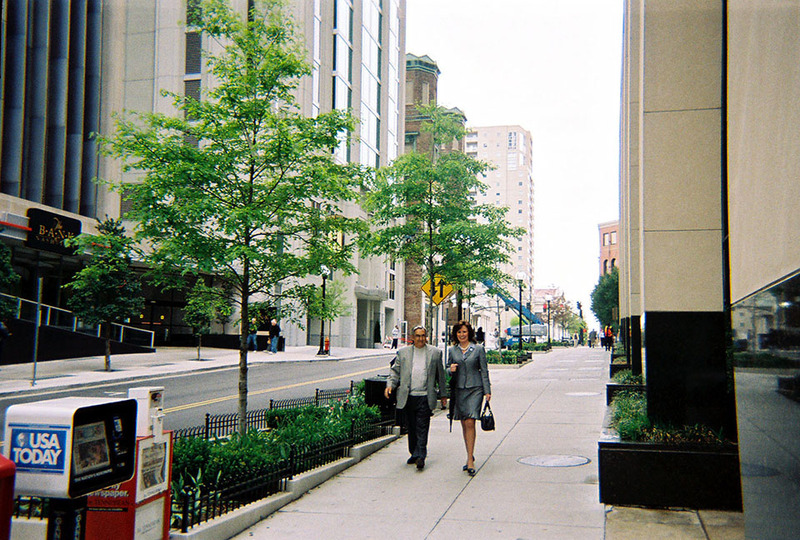 Use of materials native to Tennessee, such as the marble also used at the nearby War Memorial Plaza, helps to unify the pedestrian environment between the Capitol and the Library. CRJA-IBI Group’s design for Church Street helped transform this 1970’s streetscape, perceived as worn-down and dated, into an image consistent with Nashville’s contemporary character. 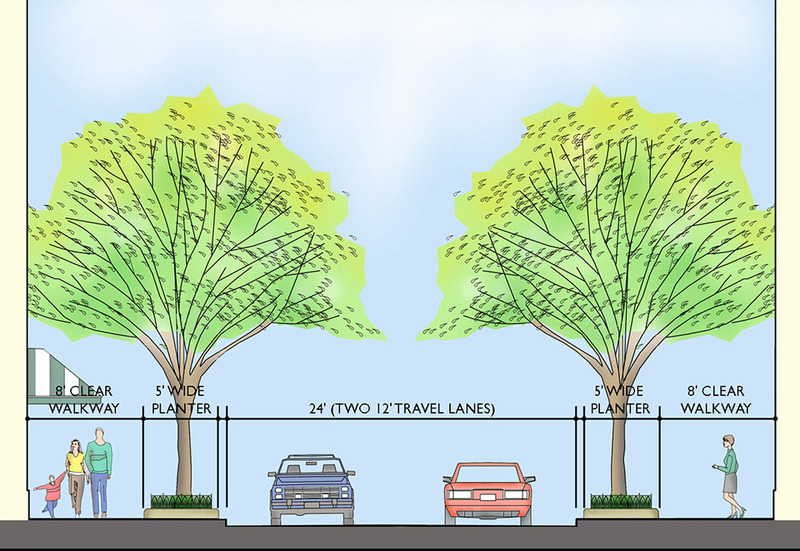 While interpreting the historical context of the central business district, the design provides new street trees in large planters, period street lights, benches and other pedestrian amenities. 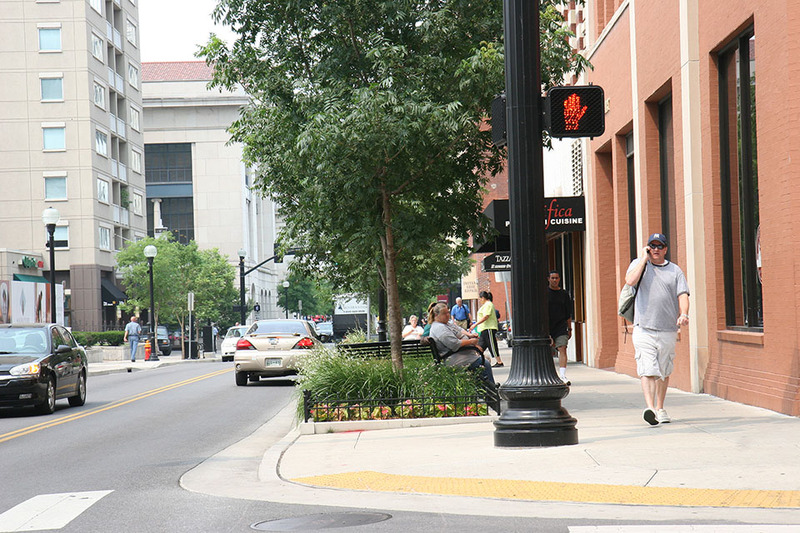 A consistent look for the street is achieved at intersections and through features which are unified with those used along Capitol Boulevard, helping to visually connect both streets. 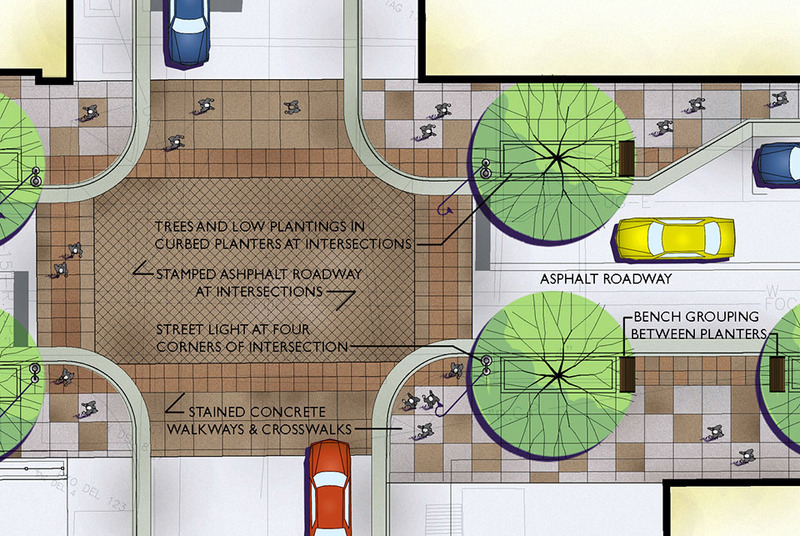 Locations and arrangements of light poles, street trees and paving materials help to organize the Church Street, while signage and benches help to make the street more pedestrian-friendly.